Mark Pirie was born in Wellington, New Zealand, in 1974. He is a New Zealand poet, fiction writer, literary critic, publisher, editor and anthologist. His poems have been published in India, New Zealand, Australia, Croatia, the US, Canada, Singapore, Iraq, Thailand, Germany, and the UK. In 1998 Otago University Press published his anthology of 'Generation X' New Zealand writing, The NeXt Wave. 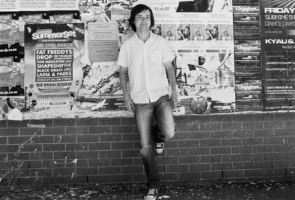 He was managing editor of, and co-edited, JAAM literary journal (New Zealand) from 1995-2005, and is the current managing editor of HeadworX Publishers, and the editor of broadsheet: new new zealand poetry. In 2003, Salt Publishing, Cambridge, England, published his new and selected poems, Gallery: A Selection. From 2003-2004 he helped co-organise the Wellington International Poetry Festival, with Ron Riddell and Saray Torres. HeadworX published the first two anthologies of the festival. From 2003-2008 he co-organised the popular Winter Readings poetry series in Wellington with Michael O'Leary. Recently he co-edited (with Tim Jones) the prize-winning anthology of New Zealand Science Fiction poetry, Voyagers (Interactive Publications, Brisbane, 2009), and edited an anthology of railway poems, Rail Poems of New Zealand Aotearoa (Poetry Archive of New Zealand Aotearoa, 2010) and a cricket poetry anthology 'A Tingling Catch': A Century of New Zealand Cricket Poems 1864-2009 (HeadworX, 2010), with a foreword by Don Neely. He helped co-organise the Poetry Archive of New Zealand Aotearoa (PANZA) in 2010. Mark, ever since I’ve known you, I’ve been impressed by the number of projects you are able to have on the go at one time. How do you manage to be so productive? Well, I’m continually interested in poetry, and what others are writing - not just my own work. I edit journals as well as research historical poets. In between these activities, I write my own poems. I guess the reading and research feeds back on my own writing in some respects, so I am always finding new things to write on. This helps my production. As well as your own writing, you’ve been involved in editing a number of anthologies that have made quite a mark on different areas of the literary scene – I’m thinking of The NeXt Wave, Voyagers: Science Fiction Poetry from New Zealand, Rail Poems of New Zealand Aotearoa and most recently ‘A Tingling Catch’: A Century of NZ Cricket Poems 1864-2009. Why do you enjoy editing anthologies? It’s a good question. These anthologies you mention seem to be on specific things: Generation X writing in New Zealand, science fiction poetry in New Zealand (co-edited with yourself), rail poems in New Zealand and cricket poems in New Zealand. Their specialised subject matter draws in the anthologist. You become involved in a treasure hunt. Your gradual research slowly unearths and discovers hidden jewels and then you play sculptor by moulding the poems into the shape of an anthology. There’s an art and skill to it. The challenge for the anthologist is selecting and arranging them to make the subject more interesting to the reader and rewarding for them to encounter. In the case of The NeXt Wave, I proffered an essay on recent directions in young New Zealand writing, generational and controversial for some. The work gathered fitted with the essay. There’s a long history of those kinds of anthologies and generational groupings in New Zealand. One of the best things about an anthology is you frequently present poems in a context others hadn’t thought of before. The cricket anthology is probably the best example of my abilities as an anthologist to date. 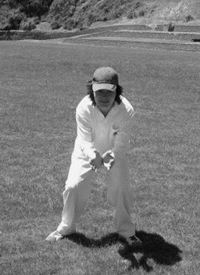 Until the anthology appeared, few people believed we had enough cricket poems in New Zealand for such a book to happen. It must’ve surprised people. I’ve noticed that ‘A Tingling Catch’ has been reviewed not only in poetry and literary magazines, but in the cricket media as well. Who’s reviewed it, and how’s the anthology been received? Yes, A Tingling Catch received a brief review in The Wisden Cricketer, and it’s been featured on Sky Sport 1’s “Cricket Company” show and sports writer Joseph Romanos gave it a plug on Radio Sport and Radio New Zealand National. The New Zealand Cricket Museum Newsletter has also featured poems from the book and given it coverage over several issues now. Elsewhere, it’s been featured in the Wellingtonian newspaper and the Wellington College Old Boys’ magazine The Lampstand and reviewed in various newspapers and online sites such as Investigate, English in Aotearoa, Capital Times, Paekakariki Xpressed [Kakariki Bookshop’s Book of the Month], Takahe, Waikato Times, Otago Daily Times and Cordite Poetry Review in Australia. I received a 20-minute interview slot on Kathryn Ryan’s 9 to Noon. Generally it’s been very favourably received by the cricket fraternity as well as literary reviewers. I would say this is the biggest reception I’ve received since The NeXt Wave was published in 1998. You have published a chapbook of your own cricket poems and I believe that you are now working on a cricket biography. How did that come about, and who is the subject of the biography? About the biography: This year I received an email from an Australian researcher Graeme Lindsay (no relation to the New Zealand poet Graham Lindsay) who had come across a cricket poem by a New Zealander in an early Tasmanian newspaper. The poem was by former Secretary of the New Zealand Cricket Council W H Winsor (1920s-1930s) written in 1904. I started to dig up information on Winsor who I knew because the Plunket Shield bowling trophy (the Winsor Cup) is named after him. I found his life to be a fascinating subject worthy of a small monograph booklet, maybe only 40 pages. I’ll see what I can dig up on him. I’m not sure at this stage I intend to write a full biography on him but he does deserve some recognition for the services he gave to New Zealand cricket. There was no Wisden Obituary for Winsor and he isn’t a First Class cricketer but did play senior club cricket at a high level in Tasmania, Dunedin and Christchurch before becoming an important administrator to Canterbury and New Zealand cricket. ‘A Tingling Catch’ was published by HeadworX, which has done a sterling job in publishing New Zealand poetry over the years. But I see from the HeadworX website that “As of 2011, HeadworX is no longer receiving submissions and will be taking a short break until further notice.” Do you think this the end of the road for HeadworX? At present I think the market is very tough for poetry. There aren’t many bookshops buying in poetry now. However, selling poetry has always been tough. It’s usually only the independent stores (Unity Books, Parsons etc) and university bookshops that buy it. If you are a small press, the major chains tend not to buy in your list. Libraries don’t have as big a budget as they may have had in the past so they are buying less poetry and there is now the rise of the e-book format. It’s difficult to see a market for book poetry at present. I decided to take a break from it. I have published 57 titles and I feel that’s quite a contribution for the time being. This year since I stopped HeadworX I’ve been getting on with my own research on forgotten or neglected New Zealand poets. I’ve done work on Rex Hunter, John Barr (a Wellington writer), Ronald B Castle, H W Gretton, Marjory Nicholls, Bill O’Reilly, Kathleen Hawkins, Robert J Pope, Ernest L Eyre, S G August as well as The Spike group of Edwardian writers (1902-15). The information on Nicholls, Pope, Gretton, Hawkins and Hunter (found by Poetry Archive members) has led to Wikipedia entries on them, and some poets like Pope and Nicholls have been taken-up overseas. Pope appears on the worldwide Poetry Atlas site and Nicholls on the RPO (Representative Poetry Online) website in Toronto. Rex Hunter is also in the pipeline for RPO. 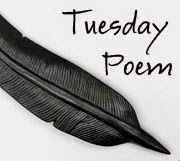 There is still poetry that seems to have been missed over the years because early New Zealand poets published mainly in newspapers and obscure journals or anthologies and not primarily in book form and there weren’t many biographies or obituaries available for them. The Oxford Companion to New Zealand Literature (1998) and the online Te Ara - Encyclopedia of New Zealand make a very good effort to cover some of these forgotten poets like Rex Hunter and Marjory Nicholls but even these are not comprehensive, nor is the Oxford History of New Zealand Literature in English (1998, 2nd ed.) or Mark Williams and Jane Stafford’s timely Maoriland: New Zealand Literature 1872-1914 (2006). The recent 99 Ways into New Zealand Poetry (2010) misses many of these early poets too. Still, we should be thankful for what we do have on New Zealand poets and poetry. These early poets’ poems in newspapers and journals remained scattered and lost but the National Library’s Papers Past, the New Zealand Electronic Text Centre at Victoria University of Wellington and the Australian Trove heritage projects have made newspaper and journal searches easier. There is a much fuller picture of New Zealand poetry still to be gathered and thoroughly researched. I hope the recently formed Poetry Archive can play a role in this. Australia has researched their poetry thoroughly and can now produce the heavy tome Australian Poetry Since 1788 recently reviewed by Ian Wedde in the New Zealand Listener. Perhaps New Zealand will be able to do the same in the future. I know that a lot of your time and energy recently has gone into setting up the Poetry Archive of New Zealand Aotearoa. Who’s been involved in setting PANZA up with you, and what’s PANZA all about? Michael O’Leary and Niel Wright had the idea for PANZA back in the 1990s. After a decade they built up a substantial collection stored in Niel’s back yard shed in Northland. As it happened Niel had built a new two-car garage at his place but had decided not to get a motor car, and I think we all agreed after Niel’s suggestion to use the garage for the Poetry Archive in the interim in the hopes we could find funding and a better venue in the future. It’s a good weatherproof garage with wooden slatted floor for ventilation and the books have been there for two years now with little deterioration. PANZA (at the moment) is a Poetry Library for study and research purposes. We had thoughts to make it into a reading venue and tutorial place of learning but at present we’ve focused on building the collection. We now have over 5,000 titles. It’s an impressive collection, possibly bigger than the Wellington Public Library. The National Library has around 10,000 titles. How can people can get involved with PANZA and find out about PANZA news? PANZA news is made available on the PANZA website: http://poetryarchivenz.wordpress.com and through our Poetry Notes newsletter (that I’m currently editing) which is posted on Beattie’s Book Blog regularly. We have published eight newsletters so far. They contain scholarly articles and selections of classic New Zealand poets (some of them I’ve mentioned earlier) that we have unearthed through our work on the archive. The National Library was impressed by our work and has since indexed all our PANZA newsletters and articles in Index New Zealand. I also maintain the PANZA catalogue online pdfs. PANZA can be used by anybody doing research on New Zealand poetry. Visits can be made by appointment only. The valuable books are not stored in the garage but at my place and if people are intending to look at specific books they’d have to check before arriving and request in advance the copies that are at my place. The contact is Niel Wright, and the number is on our website along with details for visiting the archive. He is usually home during the day and gratefully receives donations from people. Hundreds of books have been donated over the past two years since the archive began in 2010. Alistair Paterson, Roger Steele, myself, the late Harvey McQueen and Cecilia Johnson have given PANZA the largest donations. Some of the books from Harvey’s collection given to us were duplicates so I contacted the Poetry Library in London and asked if they wanted them. They said they were keen to have any that weren’t duplicates in their collection and so around 200 New Zealand poetry books dating back to 1906 were posted to London. When Niel Wright was visiting London last year, he noted some of these books were part of a New Zealand display near their entrance way. We haven’t yet asked people to be involved with PANZA other than ourselves. I guess if we find a venue, we might be interested in having volunteers working part-time for PANZA but at this stage, it remains a library that can be visited by people. Let’s turn to your own poetry. You mentioned to me in a recent email that “It’s always a challenge to write in different forms so you don’t get pigeonholed”. What are some of the poetic forms that you are writing in, or keen to write in, at the moment? I’m enjoying the challenge this involves. Two of my cricket triolets were published in The Wellingtonian newspaper recently, one on Martin Guptill and the other on the Basin Reserve’s Norwood Room that I visited for the New Zealand Cricket Museum’s Christmas party in December. Lest you awake to weep. And you were gentle Sleep. I’ve always been interested in traditional as well as more Modernist/post-modernist structures. My earliest school text was given to me in America at age 5 or 6 called The Lyric Potential: Arrangements and Techniques in Poetry (1974). (I was living in San Francisco between the ages of 3-6 as my father was a Consul-General for New Zealand there. Niel Wright has written on The Lyric Potential and its role in my development in one of his books. He has not found another copy of it in New Zealand libraries and thought to put it on record. Nice that he did that.) I didn’t properly read The Lyric Potential until I was starting to write poetry at 17 or 18. The book contained a useful cross-section from Shakespeare to the Beats and the post-moderns. It’s always influenced the way I see and do things. There’s this kind of attitude among poets . . . a kind of unacknowledg-ed attitude, that one poem must be like the next poem. It goes like this: if you’re producing a collection of poetry, if you are writing poems, one must be like the next. The next poem after that should be like that one and so on, because that proves you’ve got a certain style, that you are working in a certain period . . . what the poets are doing is a kind of repetition of what went on before, the repetition of things other people have done as well. You find a lot of very similar poems. Similar poems are not new recklessness. Now what we say is that if this poem isn’t the least bit like that poem, so what, who cares, we like all kinds of different poems, we like all kinds of forms, styles, and approaches . . . There is just the attitude that says, what the heck, so what, let’s write that, why not? from Julie Nevitt’s ‘An Interview with James Fenton: The New Recklessness’ in Sport 5 (1990). Fenton was on our reading list for Modern Poetry that Harry Ricketts taught. I kept Harry’s course anthology. Fenton’s poem included was about a man who tries to get rid of his life by discarding it on a skip. Fenton besides Wendy Cope was a favourite of mine; Fenton self-published his first book before Penguin Books took him up which is unusual. I was 19 when I took Harry’s course but it was a revelation to me at the time. Louis Johnson and New Zealand poets were also included in the course (an eye opener as I hadn’t heard of many New Zealand poets at secondary school besides James K Baxter and Sam Hunt) and I ended up writing my MA thesis on Johnson’s work as an editor and poet. Dinah Hawken and Ian Wedde came in to read to us that year along with Les Cleveland giving a talk on war verse. I responded to Cleveland with a poem ‘Lines on War Verse’; not very good, one good line about war being ‘the blood-soaked cabaret’. The only New Zealand poetry I would’ve read as a child at Wadestown School was in the New Zealand School Journal. Do you have more books of poetry scheduled to appear? There are always more books of poetry in the pipeline. I am thinking of collecting the 22 triolets I’ve written recently as a stand alone chapbook. Last year I put out a small book of epigrams as a freebie with the journal broadsheet I publish. There’s also a collection of my love poetry still to be published. I am one of those prolific writers that always have several manuscripts in their drawer awaiting publication. This year, I’ve also been thinking of collecting my cricket poetry into a bigger commercial edition - whether or not there’s any publisher interest is another matter. But it would be nice to collect them all for fellow cricket nuts out there. There’s a fairly well-worn trail of places that Wellington poets read, but I hear that you have been stepping off the beaten path lately. Where have you been reading, and how have you been received? The past few years I’ve been reading in different places: in Auckland 2010 (Lopdell House Gallery, Titirangi, and a gig in Albany (with Madeleine Marie Slavick) for Oxfam as a friend who worked there asked me to do a poetry slot for them) and last November I was in Nelson for the Nelson Live Poets that Mark Raffills is an energetic promoter of. The reading in Nelson (with Laura Solomon) was in a yurt (a Mongolian hut) out the back of The Freehouse pub. It was a nice reading to do, and a good, appreciative audience turned up that night. It’s great to get up and read to people who mostly don’t know you or your work. It’s important to get your work out to a wide audience and with poetry having a limited distribution network through bookshops, live readings are the best way to do that. Having been most familiar with Mark's work as an anthologist, it was most interesting for me to read about his approach to his own poetry. I really appreciated the point that there is no need for consistency between one poem and the next. I love the quote about new recklessness from James Fenton. Yesterday I was berating myself for having a lazy day, and this interview with Mark hasn't done much to make me feel better, Tim! Yes like Penelope, I loved the idea about 'no need for consistency' in poems and also the 'recklessness' quote from James. And what an interesting interview Tim. what wonderful dedication to poetry Mark has! Thanks for your comments, Penelope and Helen. I realised a while back that if I kept comparing Mark's productivity to mine I would shrivel up into a small, shrivelled thing and be blown away on the wind. So I decided to pretend no such comparison was possible. Helen, I would love to come to Nelson and read in a yurt! "thanks tim, thanks mark, two people who do so much for the world of poetry. and i like the white stripes poem, and that 'anything can happen' "
Thanks, Madeleine. I agree that weird is good - though it's a pity that editors and publishers don't always think so! What a great interview. I've learned so much here, from the very idea of cricket poetry (who knew? well, obviously Mark did!) to the triolet and Mark's comments on form and creativity to historical research on past poets (I really must look into these late 19th C NZ poets who were into triolets -- very interesting stuff). Thanks for this -- another extremely worthwhile visit to your site, Tim. Thanks, Michelle! 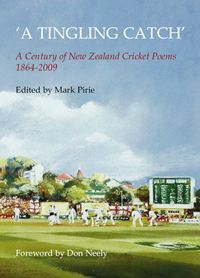 I believe there have been a number of British anthologies of cricket poetry, so I wasn't surprised that Mark was able to find enough quality New Zealand cricket poetry for an anthology. Science fiction poetry ... cricket poetry ... all sorts of anthologies are possible! I enjoyed hearing about my cousins work. As I live across the ocean from him I don't get to communicate to much with him. I too enjoyed hearing how he approaches his own poetry its neat to hear that he experiments with other forms of poetry. Thanx for posting this interview. Thanks, Rachel. I'm glad you enjoyed the interview!